A myriad of bird species. Golden eagles, cuckoos, geese, buzzards, arctic terns and Hebridean wrens are only a few of many birds which will delight bird lovers. 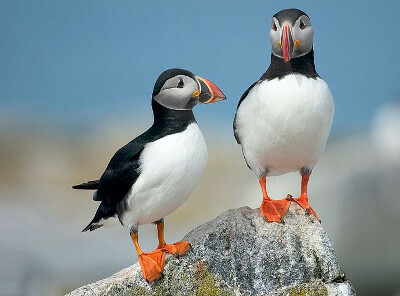 Then there are also rare birds such as Corncrakes and if you take a boat trip to St Kilda – Atlantic Puffins. Sheep. These can be seen all over the island, often wondering near the walking trails and roads. The majority of sheep on the island today are black-faced breed but it is also possible to see the traditional black Hebridean sheep. Red deer. Due to their shy nature, they aren’t easy to spot although they are seen quite frequently on the open landscape while running to the woodland. Highland cattle. Despite their intimidating look which is marked by long horns and long coats, the breed is very docile and peaceful. Seals, basking sharks and dolphins. They are often seen very close to the coast but the best way to experience marine wildlife is of course to take a boat trip. Whales. Many people are surprised to hear that it’s possible to see whales from the Isle of Harris. But it’s true. It is sometimes possible to see them from the Scalpay Lighthouse but for a memorable whale watching experience, we recommend you to book a whale-watching trip. 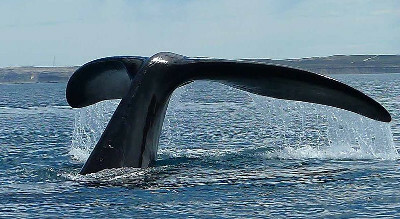 There are several charters offering whale-watching and wildlife cruises on the Isle of Harris. Midges. Now, this is a species you don’t want to encounter, no matter how much you love nature and wildlife. Unfortunately, Harris is home to the biting species which can form large clouds and make a trip to the nature a nightmare. Fortunately, they don’t like wind and thanks to a constant breeze from the sea, they aren’t really that much of a problem although it is good to be prepared. Wear long sleeves and long pants, and just in case, put an insect repellent or a midge net in your rucksack before heading out. Wildflowers. If you’re interested in local flora, you should plan your trip to the Isle of Harris sometime between June and August because that’s when most wildflowers are in full bloom.